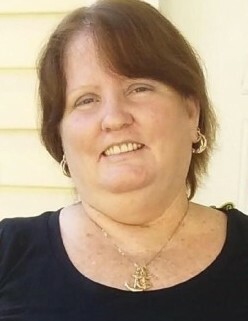 Obituary for Beverly Ann Hicks | C. L. Page Mortuary, Inc.
Ms. Beverly Hicks was born on May 7, 1957 in Kansas City to Alfreda Ely and Clifford Lundquiet. She attended Leesville High. She was employed by Industrial Work for 18 years. She moved to Jacksonville, Florida in 1988/1989 where she spent the rest of her life. She met so many people that became family and friend, that love her very much. She is survived by her children, Markita Smith, Kristy Smith, Alderia Lundquiet, Jamar Smith (Marquita Smith), Nakeisha Hicks, Chrystal Smith, and Arieca Counts; 2 sisters, 1 brother and a host of loving relatives and sorrowing friends. 2 In My Father’s house are many mansions; if it were not so, I would have told you. I go to prepare a place for you. 3 And if I go and prepare a place for you, I will come again and receive you to Myself; that where I am, there you may be also. 4 And where I go you know, and the way you know.” 5 Thomas said to Him, “Lord, we do not know where You are going, and how can we know the way?” 6 Jesus said to him, “I am the way, the truth, and the life. No one comes to the Father except through Me.